Freedom Forum Institute > News & Commentary > News > Bible Literacy or Bible Wars? Many students currently do have the option of taking a Bible course in their public school. Hundreds of school districts offer Bible courses, all of them electives. The trigger for Trump’s Bible tweet appears to have been a Fox Network Fox &Friends segment about the spate of “Bible literacy” bills recently introduced in a number of states including Indiana, North Dakota, West Virginia and Missouri. This initiative – called Project Blitz – is currently being pushed by a coalition of conservative Christian political groups. While certain to appeal to the president’s base, the tweet left many Americans bothered and bewildered by questions raised by Trump’s cryptic endorsement of “studying the Bible” in public schools. Is that constitutional? Whose Bible would be taught? How would it be done? These are just a few of the more publishable responses on Twitter. To clear up some of the confusion, let’s start by pointing out that many students currently do have the option of taking a Bible course in their public school. Hundreds of school districts offer Bible courses, all of them electives. In fact, Bible electives could be offered in the aforementioned states and most other states without new legislation. Over the years, I have reviewed many Bible electives in public schools across the country. Some are constitutionally and academically sound. But many others are faith-based lessons that belong in a Sunday school, not a public school. Despite lawsuits striking down some of these courses, they keep reappearing in communities determined to teach their version of the Bible in schools. In rural areas of mostly red states, Bible courses are popular precisely because they exist under the legal radar. Few of the schools offering such courses are either willing or able to get it right. That’s because “right” would mean an academic course that would surely offend the very people who most want Bible classes. And “right” would also require qualified teachers and scholarly resources – neither of which is readily available in these districts. In the guide, we acknowledge that biblical literacy is an important part of a good education, as is religious literacy more broadly. As the U.S. Supreme Court has made clear, teaching about the Bible is constitutional as long as it is done in an objective, academic manner. Among other things, this means including the best scholarship on the Bible, teachers with the academic training necessary to present the scholarship, and inclusion of multiple perspectives, religious and secular, on how to interpret the Bible. Finally, schools considering a Bible elective should also consider offering an elective in world religions. As we state in the guide, a world religions elective conveys the message that the curriculum is designed to offer a good education, and not to prefer any religious faith or group. While I can’t be sure what Trump means by “turn back,” let’s hope he doesn’t mean a return to the Bible wars of our history, from the 19th century fights between Protestants and Catholics over whose version of the Bible would be read in the classroom, to the more recent lawsuits over unconstitutional Bible courses. Imposing religion on students in public schools was unjust and unconstitutional then – and it is unjust and unconstitutional now. 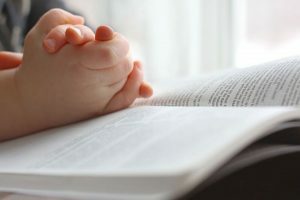 Yes, Mr. President, biblical literacy can be part of a public school education – if, and only if, schools are prepared to do it right under the First Amendment. Feel free to RT. Charles C. Haynes is founding director of the Religious Freedom Center of the Freedom Forum Institute in Washington, D.C. This entry was posted in News and tagged bible in public schools, Freedom of religion, religious freedom, Religious Freedom Center, U.S. Supreme Court by Charles C. Haynes. Bookmark the permalink.